The user experience for students at CBORD campuses has seen a significant overhaul this year thanks to the company’s new GET CBORD Student mobile app. The re-envisioned app consolidates the disparate GET applications under a single, new user interface that is designed to help students better navigate daily life on campus. Students can now use the one app to manage their campus account including adding to their balance, purchasing a meal plan, using their phone as a mobile credential, placing food orders, opening doors, and more. There’s also a new campus loyalty function that enables universities to reward their students for making purchases or attending events to increase user engagement. The app relaunched in September and early reviews have been strong. Prior to GET CBORD Student, the company required use of separate applications for door access, laundry, vending, and attendance. But that is now a thing of the past. Aesthetically GET CBORD Student is an improvement that incorporates newer, more modern tones to the applications students used prior to the consolidation. Previously, students used separate applications to activate laundry, vending, open their door, or check in for class. But now one app covers all of these services. While the app features a more modern look and feel, there will be no changes to the campus’ requirements. “The updated app will be pushed to student devices automatically in the form of a software update,” Wood adds. The GET platform seamlessly integrates with both CS Gold and Odyssey systems, and the GET CBORD Student platform is a modest add-on subscription for CBORD clients, explains Wood. Wakelee highlights some of the functions in the GET CBORD Student experience that are also included in the platform. 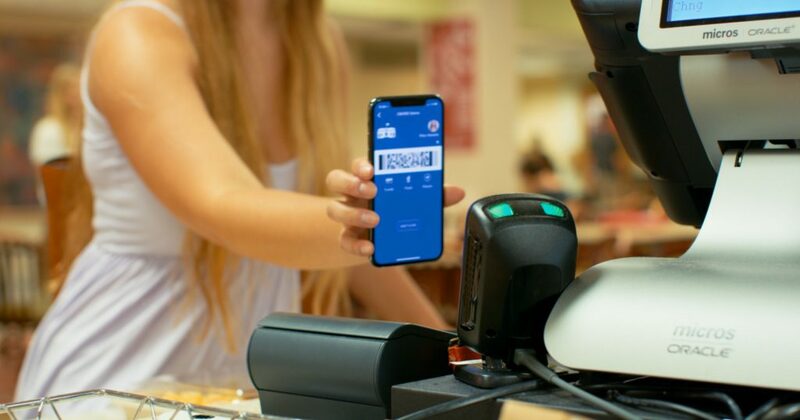 “The virtual card is an additional credential that lives in the app in the form of a 2D barcode, which can be used in place of swiping your card much like using your phone in place of your boarding pass at the airport,” Wakelee explains. 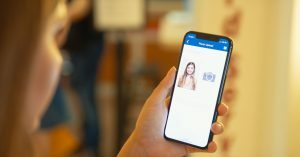 Students can use the virtual credential to make purchases and log attendance in addition to the mobile access integration to enter their dorm room. GET CBORD Student also supports automated deposits, which gives students the option to set a low-balance threshold so if a balance drops below, say $5.00, students will receive a push notification that their account was credited $25.00 using their stored payment method, for example. With GET CBORD Student, the idea was to streamline and otherwise improve the student campus experience. “Students don’t want a separate app to open their door from the app that enables them to make a deposit; this doesn’t translate with them,” Wood says. Wood also points to an increasingly competitive environment in higher education as a major reason to focus on the student. GET CBORD Student now also includes a loyalty aspect, which rewards attendance, event access, meal plan usage, and more. The idea behind the rewards feature is that by promoting positive interactions universities can help to inspire healthy and productive experiences for students on campus. Students can see points accrued in the app and can then redeem those points for rewards offered by their institution. There are currently three campuses actively using the Rewards feature today, with additional campuses looking at spring launches. While the progress already made with GET CBORD Student is evident, Wakelee and the rest of the GCS team aren’t finished yet. For the time being, however, the decision to consolidate disparate applications and services under a single offering is one that simply makes sense in today’s world. “What we’ve done with GET CBORD Student so far really shows the effort and intent that we’re bringing everything into a single, core user experience,” says Wakelee. That pivot, Wood says, is largely being motivated by generational changes in student behaviors and expectations. “We’re finding that students today are more demanding than ever in terms of the level of transparency and ability to transact in a mobile fashion, and that’s precisely what we’re delivering with the GET CBORD Student app,” he says.